Corners bumped. Spine and covers creased. But it just so happens that Freda's nephew is courting the renowned amateur sleuth Kate Shackleton, who decides to holiday in Langcliffe with her indomitable teenage niece, Harriet. When Harriet strikes up a friendship with a local girl whose young brother is missing, the search leads Kate to uncover another suspicious death, not to mention an illicit affair. As the present mysteries merge with the past's mistakes, Kate is thrust into the secrets that Freda left behind and realises that this courageous woman has entrusted her with solving a murder from beyond the grave. 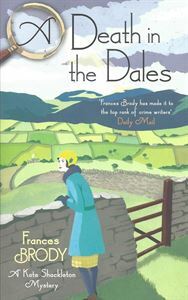 It soon becomes clear to her that nothing in Langcliffe is quite as it appears, and with a murderer on the loose and an ever-growing roster of suspects, this isn't the holiday Kate was expecting . . .